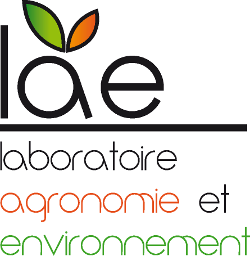 The laboratory agronomy and environment (LAE) is a joint research unit between INRA and the University of Lorraine (Ensaia). The research activities are developed by 2 research teams working on the interactions between agricultural practices – biodiversity – ecosystem services (AGISEM team : agro-environmental indicators and multicriteria evaluation) and on the plant metabolism involved on defence processes and adaptation to environmental constraints (secondary metabolism team: biosynthesis pathways, plant responses to pest attacks, costs-benefits of plant defense). Our scales of studies range from macroscopic level (field and grassland) to the molecular level (plant metabolism studies). Our facilities are located on two distinct geographical areas of the administrative ‘Grand-Est’ region: Nancy-Brabois (UL-ENSAIA site in Lorraine) and Colmar (INRA site in Alsace). Our studies go from macroscopic scales (field, farm, landscape) to molecular and ecophysiological scales (genes, molecules, organ, whole plant). LAE is active in training of young technicians and scientists (PhD, post-docs). Members are also strongly involved in the transfer of knowledge towards socio-economic sectors, in scientific expertise and in the dialogue science-society.